The Seasons. ELSA AND JACK ARE SIBLINGS IN THIS. 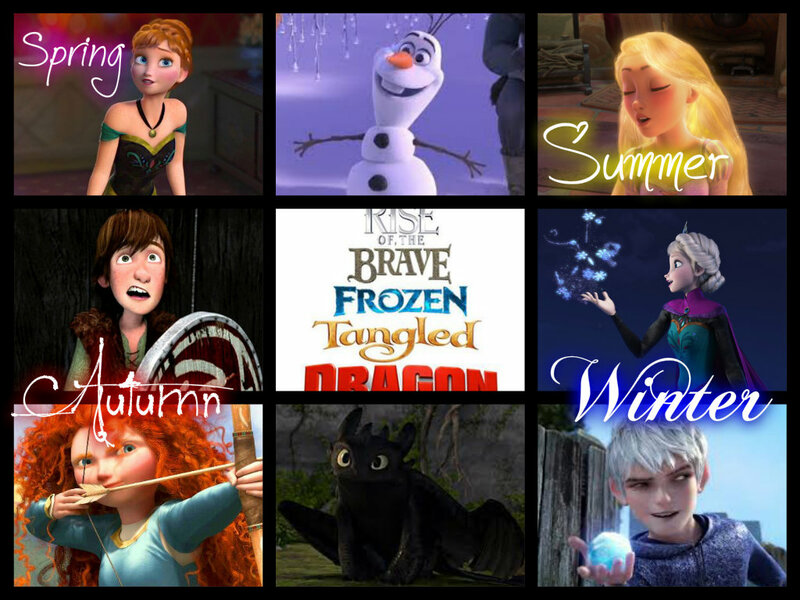 HD Wallpaper and background images in the Rise of the 겨울왕국 메리다와 마법의 숲 라푼젤 용 club tagged: photo seasons jack frost hiccup haddock anna rapunzel toothless merida elsa olaf rise brave tangled frozen. This Rise of the 겨울왕국 메리다와 마법의 숲 라푼젤 용 fan art might contain 스테인드 글라스 창.